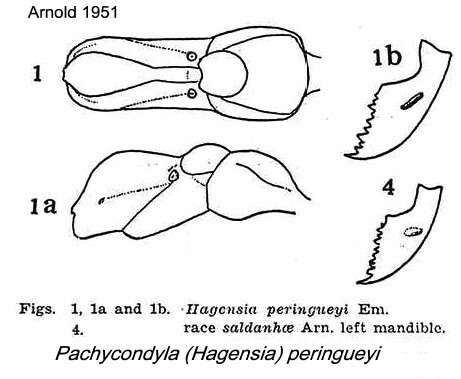 Arnold's (1951) revisionary study, including the description of saldanhae, is at . 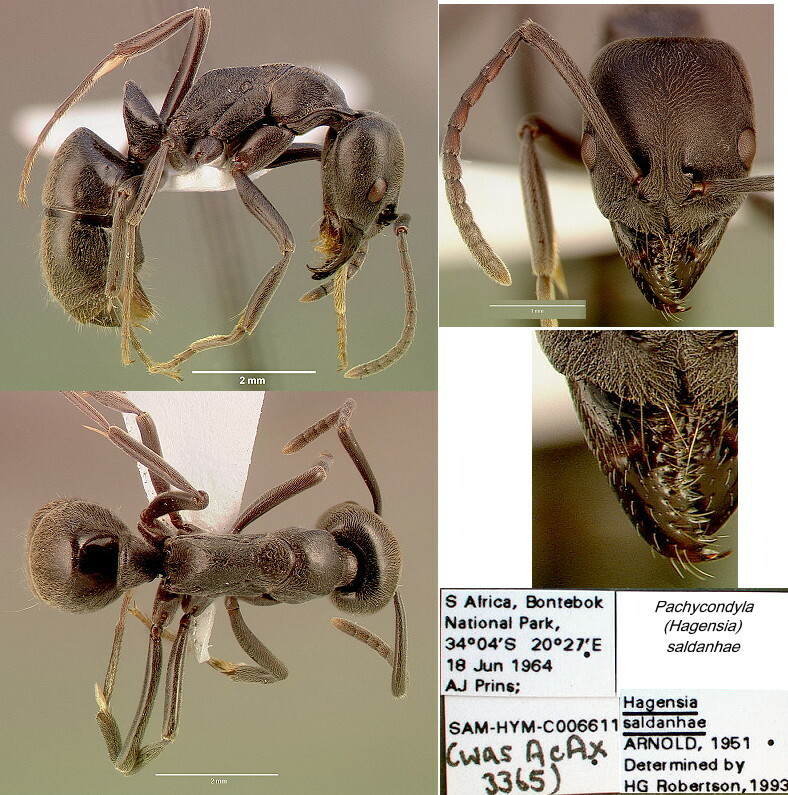 The elevation of P. saldanhae from the status of a variety of peringueyi, seems justified, especially with the collection of a second specimen from a different location. The combination of a flatter alitrunk profile, weak shallow fovea on the mandibles, stronger punctures on the inner surface of the mandibles, with coarser teeth, and, the more rectangular, straight sided head matches the description by Arnold (1951). Presumably he held back from giving the single specimen species status simply because of the uniqueness of the specimen.